I wanted to introduce my little copilot Furgus (Furgie for short). 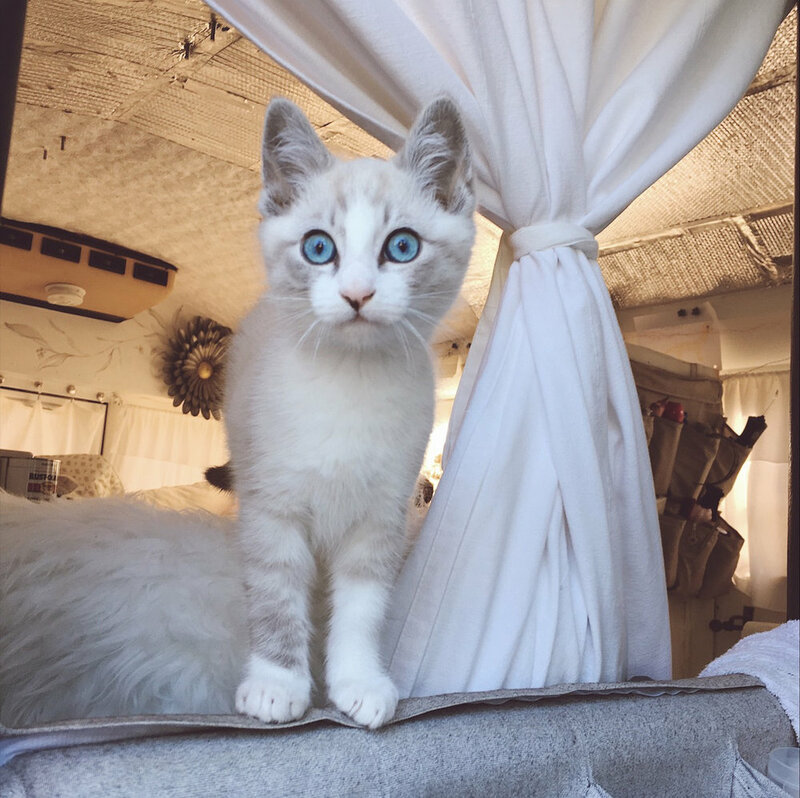 He was rescued from the Humane Society, and is now living an adventure-filled life on Cozy the Bus. 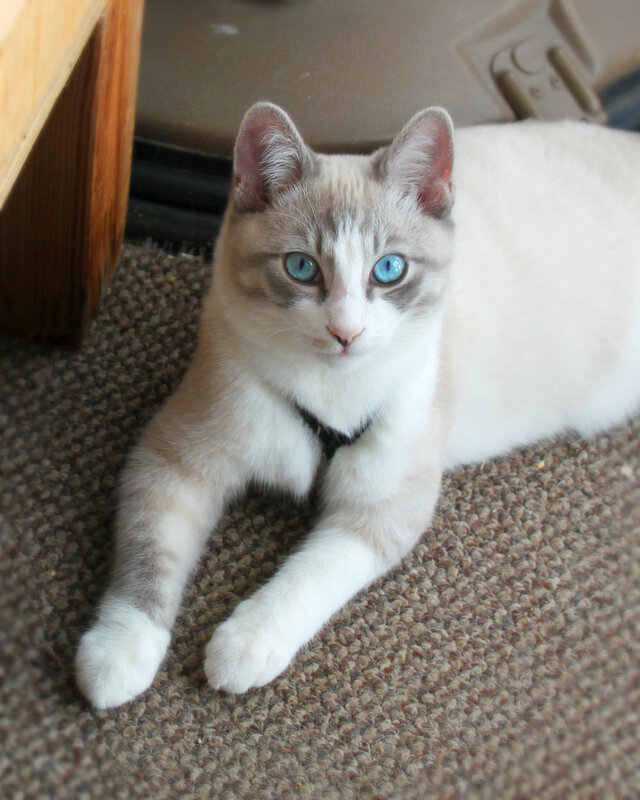 He is a Lynx Point Siamese, which is basically a Lilac Point Siamese and Tabby mix. He has the brightest blue eyes I've ever seen on a kitty. He loves his bus and going for walks wearing his harness. He is a really sweet little guy! This is Furgus about a month ago. Look at those eyes! Here is a current picture of Furgie in his bus. Furgus wearing his adventure harness.